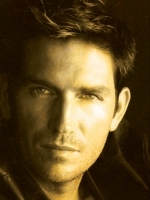 Jim Caviezel was born and raised in Skagitt County, Washington. The Caviezels were a family of athletes, and James steered initially towards athletics, especially basketball. It wasn't until an injured foot sidelined him that James began to develop other interests. His first acting gig was an undergraduate stage adaptation of the Frank Sinatra musical Come Blow Your Horn. In the early 1980s he re-located to Los Angeles, working as a waiter and making the rounds of auditions. He found small roles on popular TV shows like Murder, She Wrote and The Wonder Years. He talked his way into his big screen debut as an airline reservations clerk in Gus Van Sant's My Own Private Idaho (1991) by pretending to be a recent Italian immigrant with a thick accent. He continued to get small roles in pictures like Diggstown (1992), Lawrence Kasdan's Wyatt Earp (1994), but he also began to be noticed. As "Slov" Slovnik in G.I. Jane (1997) he made his presence felt in several scenes of intense fraternization with co-star Demi Moore. Jim will next be seen starring in the Jerry Bruckheimer & Scott Free film, Déjà vu with Denzel Washington opening November 22, 2006. This was the first film to be shot in New Orleans after the devastation of hurricane Katrina. His breakthrough role, however, was another military assignment, the brooding pacifist Private Witt in Terrence Malick's The Thin Red Line (1998), alongside Sean Penn, Nick Nolte, and Adrien Brody. He went on to appear over the next few years in such films as Ang Lee's Civil War-era "Western" Ride With the Devil (1999), and in Gregory Hoblit's ingenious time-twist thriller Frequency (2000), in which he played a troubled son hooking up across two decades of time with his long-dead father (Dennis Quaid). In 2001 he starred with Jennifer Lopez in Angel Eyes, directed by Luis Mandoki. He then used his range to convincingly play the wrongly convicted Edmond Dantes in the adaptation of Alexandre Dumas' classic The Count of Monte Cristo (2002), and a war hero wrestling with a murder charge in Carl Franklin's courtroom drama High Crimes (2002), with Morgan Freeman and Ashley Judd. It could be said that Jim's role in The Passion of The Christ is the ultimate in terms of making simultaneous physical and emotional demands upon a performer. The actor was chosen for the role because he was willing to commit to this unique project whole-heartedly. In 2004, James Caviezel appeared with Robin Williams and Mira Sorvino in Omar Naim's Final Cut and with Claire Forlani and Jeremy Northam in Rowdy Harrington's Bobby Jones: Stroke of Genius. And most recently as the star of the heart-warming bio-pic on Hydroplane boat racer, Jim McCormick in Madison for MGM films. He also shot the film, Unknown with Barry Pepper and Greg Kinnear for The Weinstein Company. 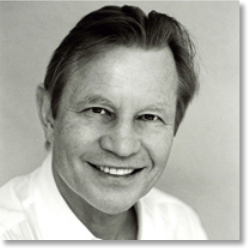 Michael York has enjoyed a successful career for over 40 years, creating an impressive body of work on stage, screen and in the recording studio. A member of Britain's National Youth Theatre, he studied English at Oxford University. As a professional actor, he joined the National Theatre Company and made his film debut in "The Taming of the Shrew". York's more than 60 other screen credits include "Romeo and Juliet", "Cabaret", "Something for Everyone", "Jesus of Nazareth", "The Three Musketeers", "Logan's Run", "The Island of Doctor Moreau", "Murder on the Orient Express" and "Fedora". He played in all three "Austin Powers" movies, and the two "Omega Code" films. His latest film is "Moscow Heat". Television work includes "The Forsyte Saga", "Great Expectations", "Space, "The Far Country", "The Heat of the Day", "The Lot", "Curb Your Enthusiasm" and "Icon". 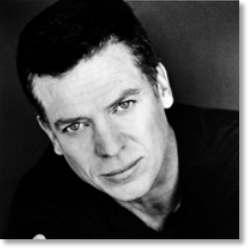 He was recently a guest on "The Simpsons" and the 100th episode of "Law and Order: Criminal Intent". Among his Broadway credits are "Someone Who'll Watch Over Me", "Bent", the musical of "The Little Prince", "The Crucible" and the world premiere of Tennessee Williams' "Outcry". York has recorded over 70 audio books including his children's book, "The Magic Paw Paw". Grammy-nominated for "Treasure Island", he won an Audie for "The Fencing Master" and awards for "Creating True Peace" and "Goodbye to Berlin". He both recorded the Tennyson/Strauss "Enoch Arden" and performed it internationally in concert. As well as presenting Shakespeare with music at the Kennedy Center, the Hollywood Bowl and with the Fort Worth Symphony, he has narrated concert versions of "Henry V", "Christopher Columbus", "Peer Gynt" and Mozart's "The Abduction from the Seraglio". His autobiography, "Accidentally on Purpose", was followed by "A Shakespearean Actor Prepares" and "Dispatches from Armageddon". His most recent book is "Are My Blinkers Showing?" York has lectured internationally on the arts, and has been awarded Britain's OBE, France's Arts et Lettres, and a Star on the Hollywood Walk of Fame. Chairman of the California Youth Theatre, he lives in Los Angeles with his wife Pat, the celebrated photographer. Richard Dreyfussk American leading man who has played his fair share of irritating pests and brash, ambitious hustlers, Dreyfuss worked his way up through bit parts (The Graduate (1967), for one) and TV before gaining attention with his portrayal of Baby Face Nelson in John Milius' Dillinger (1973). He gained prominence as a college-bound young man in American Graffiti (1973) and as a nervy Jewish kid with high hopes in The Apprenticeship of Duddy Kravitz (1974). By the latter part of the 1970s, Dreyfuss was established as a major star, playing leads (and alter-egos) for 'Steven Spielberg' in two of the top-grossing films of the that decade: Jaws (1975) and Close Encounters of the Third Kind (1977). He won a Best Actor Oscar in his first romantic lead as an out-of-work actor in The Goodbye Girl (1977). Dreyfuss also produced and starred in the entertaining private eye movie The Big Fix (1978). After a brief lull in the early 1980s, a well-publicized drug problem and a succession of commercial disappointments (The Competition (1980), Whose Life Is It Anyway? (1981), The Buddy System (1984)), a clean and sober Dreyfuss re-established himself in the mid-'as one of Hollywood's more engaging leads. He co-starred with Bette Midler and Nick Nolte in Paul Mazursky's popular Down and Out in Beverly Hills (1986). That same year Dreyfuss provided the narration and appeared in the opening and closing "bookends" of Rob Reiner's nostalgic Stand by Me (1986). He quickly followed up with Nuts (1987) opposite Barbra Streisand, Barry Levinson's Tin Men (1987) with Danny DeVito and Stakeout (1987) with Emilio Estevez. Dreyfuss continued working steadily through the end of the 1980s and into the 1990s, most notably in Mazursky's Moon Over Parador (1988), Spielberg's Always (1989), Postcards from the Edge (1990) and Rosencrantz & Guildenstern Are Dead (1990). He appeared as a member of an ensemble that included Holly Hunter, Gena Rowlands and Danny Aiello in the romantic comedy _Once Around_ (1991)- and opposite Bill Murray in the successful comedy What About Bob? (1991). Stacy Keach began his professional career with the New York Shakespeare Festival in 1964 in a production of Hamlet, directed by the late Joseph Papp. A graduate of the University of California at Berkeley, he attended the Yale School of Drama, and was a Fulbright scholar to England's London Academy of Music and Dramatic Art. 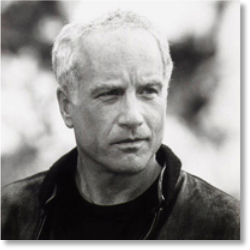 He has devoted much of this theatrical career to the classics, playing the title roles in Richard III and Macbeth for the Shakespeare Theatre in Washington, D.C., Coriolanus, Cyrano de Bergerac, Peer Gynt, Falstaff in both parts of Henry IV, Edmund in King Lear, and the title role in three different productions of Hamlet. He rose to prominence in 1966 with the off-Broadway political satire, MacBird!, which won him the first of three Obies. 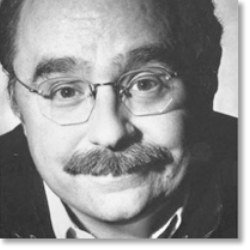 He made his Broadway debut in Arthur Kopit's Indians in 1969, winning a best actor Tony nomination. His other Broadway credits include Deathtrap, Solitary Confinement, and The Kentucky Cycle, for which he won a Helen Hayes Award. In 2000, he was given the prestigious Millennium Recognition Award from the Shakespeare Theatre in Washington, D.C. for his contribution to classical theater. Once a member of Britain's National Theatre, he performed the title role in Hughie, and more recently starred in Art in the West End. In 2003, he starred in the west coast premiere of Jon Robin Baitz' Ten Unknowns at the Mark Taper Forum in Los Angeles, and won critical acclaim for his portrayal of Scrooge in Boston's Majestic Theatre production of A Christmas Carol. In 2004 he performed at The Goodman Theater in Chicago in the world premiere of Arthur Miller's Finishing the Picture. Known to television audiences for his portrayal of hard-boiled detective, Mike Hammer, and more recently as the dysfunctional Dad in the sitcom, Titus, he won a Best Actor Emmy nomination and a Golden Globe for his performance in the title role of the mini-series, Hemingway. He also directed Arthur Miller's Incident At Vichy for KCET's Hollywood Television Theatre. 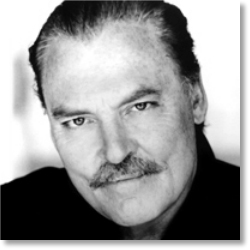 His many film credits include The Heart Is A Lonely Hunter, The Traveling Executioner, The New Centurions, Doc, Fat City, The Longriders, The Ninth Configuration, Up In Smoke, Nice Dreams, That Championship Season, Judge Roy Bean, Roadgames, Escape from L.A., and American History X. Mr. Keach is also host for The Twilight Zone radio dramas, produced by Carl Amari. In 2005, Stacy co-starred with Ashley Judd in the upcoming film Come Early Morning and is currently starring in the smash hit series on Fox, Prison Break, playing the role of Warden Pope and will return to Chicago's Goodman Theater this fall to play the title role in Shakespeare's King Lear under the direction of Robert Falls. In addition to his role as the Warden in Prison Break he has recently starred in Desolation Canyon and Blackbeard for the Hallmark channel and Pandemic for ABC. Following his stint in Chicago as King Lear, he will play Teddy Roosevelt in River of Doubt, a feature film to be directed by his brother, James, currently in pre-production. An accomplished pianist and composer, he resides in southern California with his wife Malgosia and their two children, son Shannon and daughter Karolina. 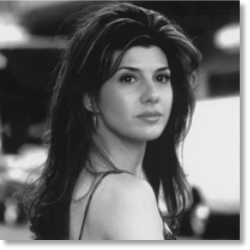 Marisa Tomei was born on December 4, 1964, in Brooklyn, New York to mother Patricia "Addie" Tomei, an English teacher and father Gary Tomei, a lawyer. Marisa also has a brother, actor Adam Tomei. As a child, Marisa's mother frequently corrected her speech as to eliminate her heavy Brooklyn accent. As a teen, Marisa attended Edward R. Murrow High School and graduated in the class of 1982. She was one year into her college education at Boston University when she dropped out for a co-starring role on the CBS daytime drama "As the World Turns" (1956). Her role on that show paved the way for her entrance into film: in 1984, she made her film debut with a bit part in The Flamingo Kid (1984). Three years later, Marisa became known for her role as Maggie Lawton, Lisa Bonet's college roommate, on the sitcom "A Different World" (1987). Her real breakthrough came in 1992, when she co-starred as Joe Pesci's hilariously foul-mouthed, scene-stealing girlfriend in My Cousin Vinny (1992), a performance that won her a Best Supporting Actress Oscar. Later that year, she turned up briefly as a snippy Mabel Normand in director Richard Attenborough's biopic Chaplin (1992), and was soon given her first starring role in Untamed Heart (1993). A subsequent starring role -- and attempted makeover into Audrey Hepburn -- in the romantic comedy Only You (1994) proved only moderately successful. Marisa's other 1994 role as Michael Keaton's hugely pregnant wife in The Paper (1994) was well-received, although the film as a whole was not. Fortunately for Tomei, she was able to rebound the following year with a solid performance as a troubled single mother in Nick Cassavetes Unhook the Stars (1996) which earned her a Screen Actors Guild nomination for Best Supporting Actress. She turned in a similarly strong work in Welcome to Sarajevo (1997), and in 1998 did some of her best work in years as the sexually liberated, unhinged cousin of Natasha Lyonne's Vivian Abramowitz in Tamara Jenkins Slums of Beverly Hills (1998). In recent years, Marisa has co-starred with Mel Gibson in the hugely successful romantic comedy What Women Want (2000) and during the 2002 movie award season, she proved her first Best Supporting Actress Oscar win was no fluke when she received her second nomination in the same category for the critically acclaimed dark drama, In the Bedroom (2001). 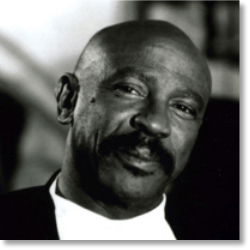 Lou Gossett Jr. Born May 27 1936 in Brooklyn, Lou has a flair for projecting quiet authority and has scored well personally in a string of diverse and challenging roles. The aspiring actor caught a break at his first Broadway audition for "Take A Giant Step" (1953), where, beating out 400 other candidates, the then 15-year-old landed the lead. After attending NYU on a basketball scholarship, Lou was drafted by the New York Knicks but instead continued to nurture his burgeoning acting career. His acting career soon flourished and is work in the stage and film versions of the groundbreaking drama about African-American family life in Lorraine Hansberry's "A Raisin in the Sun" (1961) proved a watershed. This led to numerous appearances on network series in the 1960s and 70s culminating in 1977, when he picked up an Emmy for his eloquent portrayal of Fiddler in the landmark ABC miniseries "Roots". Meanwhile, his big screen reputation grew with critically acclaimed work in such comedies as "The Landlord" (1970), "The Skin Game" (1971) with James Garner, "Travels with My Aunt" (1972) and the film adaptation of the Tony Award-winning drama "The River Niger" (1975). A riveting performance as a drug-dealing cutthroat stalking Nick Nolte and Jacqueline Bisset in "The Deep" (1977) catapulted him to wider popularity, but the tough by-the-book drill sergeant in "An Officer and a Gentleman" (1982) won him a Best Supporting Oscar that consolidated his place in the Hollywood hierarchy. Following his Oscar, he made numerous big screen and television appearances ,being singled out for his work as Egyptian president Anwar Sadat in "Sadat"(1983), the sci-fi adventure "Enemy Mine" (1985) where his lizard-like makeup won kudos, and in the action adventure series "Iron Eagle" (1985,1986,1992,1995) which introduced him to a whole new generation of moviegoers. Still going strong, Lou's trendsetting bald head and imposing six-foot-four physique served him well in "Diggstown" (1991) where he played a down-and-out boxer, a heroic headmaster in "Toy Soldiers" (1991). Lou's well thought out and nuanced performances also managed to give credibility to socially themed projects such as "To Dance with Olivia" (1997), and the critically acclaimed "Jasper, Texas" (2003)The recipient of every known acting accolade, including multiple Golden Globes, Emmys, and People's Choice Awards, Lou's performance has connected him with his fans on a global scale. Organizations such as the NAACP, CARE, and the United States Armed Forces have used his likeness to add validity and integrity to their causes. Currently, Lou has two forthcoming movies slated for release. One is entitled "All In" based on the current craze of all in Texas Hold ‘Em Poker with Michael Madsen and Dominique Swain. The other film is entitled "Daddy Little Girl" directed by Tyler Perry. Lou is also developing the Eracism Foundation which is aimed at bringing cultural and historical education to our youth through arts and entertainment. 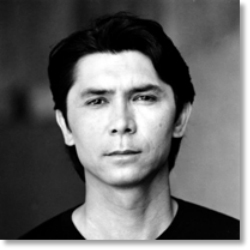 Lou Diamond Philips A handsome, multi-ethnic leading player, Phillips made his film debut as both actor and co-screenwriter with "Trespasses" (filmed in 1983, released in 1987), a crime melodrama set in Texas. He rose to prominence as doomed 1950s rock-and-roll star Ritchie Valens in "La Bamba" (1987). A charismatic and conscientious performer, he subsequently distinguished himself as gang member Angel in Ramon Menendez's high school drama, "Stand and Deliver" and was one of the titular "Young Guns" (both 1988). He has played cops ("Renegades" 1989), Latinos ("A Show of Force" 1990) and Native Americans ("The Dark Wind" 1991, "Shadow of the Wolf" 1992). He worked behind the camera as director and also starred in "Dangerous Touch" and "Sioux City" (both 1994). 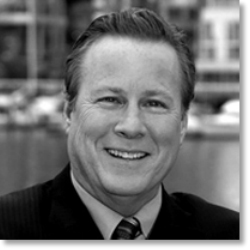 John Heard Versatile, stage-trained lead and supporting player who frequently plays romantically troubled characters. Heard burst on the New York theater scene in the mid-1970s grabbing plum roles in some of the most talked about productions of the decade including "Warp" with Chicago's Organic Theater, Vietnam dramas "G.R. Point" and "Streamers", Iago in a New York Shakespeare production of "Othello", and Broadway productions "Split", "The Glass Menagerie", "Total Abandon", and "The Last Yankee". Director Joan Micklin Silver cast the youthful Heard in "Between the Lines" (1977), a highly engaging story about the staff of a Boston underground paper dreading their impending sale to a print magnate. His association with Micklin Silver continued, with "On The Yard" (1978), when Heard was cast as a convict, and "Head Over Heels/Chilly Scenes of Winter" (1979), where he played an obsessed lover. Coveted parts followed: beat icon Jack Kerouac in "Heart Beat" (1979), a boozy angry Vietnam vet in "Cutter's Way" (1981), a mysterious zoo curator in Paul Schrader's remake of "Cat People" (1982), the seemingly helpful bartender who befriends Griffin Dunne in Martin Scorsese's "After Hours" (1985), and the unsympathetic son in Horton Foote's "The Trip To Bountiful" (1986). 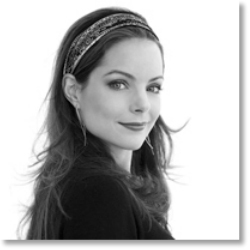 Currently co-starring in the hit ABC Television sitcom According to Jim, Kimberly Williams-Paisley first lit up the screen as the radiant young bride in the comedy feature film series Father of the Bride and Father of the Bride Part II. As According to Jim enters it's fifth season, Williams-Paisley continues to evolve in her role opposite Jim Belushi and Courtney-Thorne Smith, and recently added to her versatile and growing credits by directing an episode of the show which aired in February, 2006. Williams-Paisley has also been establishing her creativity outside the performing arena beginning with accomplishments as a published writer for such publications as In Style and Redbook magazines. She recently wrote and directed and starred with Patrick Dempsey in the short film Shade, for which she won the Director's Choice: Outstanding Directing and Acting in a Short at the Sedona International Film Festival. She is editing a second short, Numero Dos, which was shot last summer in New Orleans. Williams-Paisley recently filmed a starring role opposite Tom Cavanagh in How to Eat Fried Worms, the film adaptation of the popular young children's book. The feature was shot on location in Texas, for release by New Line Cinema in 2006. She also has a starring role in the coming of age comedy Eden Court, filmed on location in Illinois and also slated for release in 2006. Her other credits include the ABC Family Network's Lucky Seven, and the Lifetime Original feature Identity Theft, on both of which she also served as Co-Producer. She co-starred in The Christmas Shoes for The CBS Network, appeared in ABC's Relativity, in the NBC mini series The Tenth Kingdom and in the CBS movie Follow the Stars Home. Luke Perry stars as Peter Schaefer, a devoted husband and father of two on NBC's new mid-season drama "Windfall." A versatile and talented actor, Perry is one of the most charismatic performers of his generation. Perry recently starred in the television movies "Super Nova," and "Johnson County War," in which he co-starred in with Burt Reynolds and Tom Berenger. Prior to that, he starred in the sci-fi series "Jeremiah." Always looking to stretch his talents as an actor and performer, Perry appeared in an multi-episode arc on the critically acclaimed series "Oz," in which he portrayed a televangelist convicted of fraud, and made his debut on Broadway in the critically acclaimed musical "The Rocky Horror Picture Show," where he portrayed Brad, the character originally played by Barry Bostwick in the cult film classic. During his years on "Beverly Hills, 90210" Perry appeared in independent films and major studio productions such as: Columbia's "Fifth Element," directed by Luc Besson; "Riot" for Showtime; "Normal Life" for New Line; "American Strays," and "The Florentine," in which he co-starred with Chris Penn, Jim Belushi, Michael Madsen and Mary Stuart Masterson. Perry made his feature-film debut in a starring role in "8 Seconds," the account of champion bullrider Lane Frost, which was directed by John Avildsen. Drawn to the project by the action, drama and simplicity of the story, Perry, developed the project and was also motivated to co-produce the film in order to maintain the story's integrity. In addition, Perry's serious devotion to the inspirational legend of Lane Frost led him to train vigorously for 18 months in order to master the techniques of bullriding and to be able to perform many of his own stunts during production. 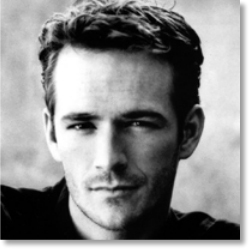 In 1989, Perry was chosen for a starring role on the internationally popular television series "Beverly Hills, 90210," in which he portrayed the brooding but sensitive Dylan McCay. The highly rated program won a Golden Globe Award for Best Dramatic Television series in 1991. Perry's birthday is October 11. 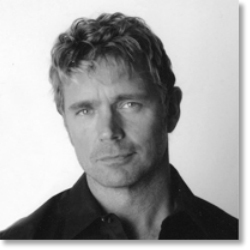 John Richard Schneider was born April 8, 1954, in Mt. Kisco, New York. His parents divorced when he was two. John began acting at the age of eight. He was in many plays in New York. He and his mother moved to Atlanta, Georgia, when he was fourteen. He got involved in the local theater and was in many local productions. He had a small part in Smokey and the Bandit (1977) starring Burt Reynolds. 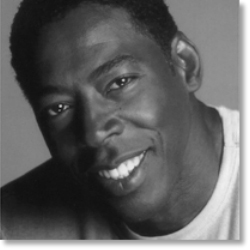 With over 100 film and television credits on his resume, Ernie Hudson has always been a unique screen presence, capable of inhabiting any role. Hudson is strongly identified with his starring role as Warden Leo Glynn on the critically acclaimed HBO series "Oz." For his portrayal of the fair-minded warden, Hudson won the International Press Academy Golden Satellite Award for Best Performance by an Actor in a Drama Series. Hudson just wrapped the highly prestigious original TNT film "The Ron Clark Story" starring opposite Matthew Perry. During this same year, Hudson starred in a wide variety of films including the award-winning HBO film "Lackawanna Blues," "Miss Hotchiss' Charm School," and "Miss Congeniality 2" reprising his role as FBI Asst. Director Harry McDonald. Hudson also starred in the ABC series "10-8" as Senior Deputy John Henry Barnes. Hudson is especially proud of his portrayal of simple-minded handyman Solomon in the box-office smash "The Hand that Rocks the Cradle." On the opposite side of the spectrum, Hudson remains a beloved icon as Winston Zeddemore, one of the original Ghostbusters. Born in Benton Harbor, Michigan, a career as a performer seemed like an unlikely path for young Ernie Hudson, who was already married with a young son when he enrolled at Wayne State University as a Speech and English major. Hudson's early ambition was to be a writer, and for a time served as the resident playwright at Detroit's Concept East, the oldest black theater company in the country. Later, he founded Actors Ensemble Theater, where he and other black performers staged and appeared in their own original works. After attending Wayne State, Hudson accepted a full writing/acting scholarship to the prestigious Master of Fine Arts Program at Yale University. This led to a number of regional theater roles and critical acclaim, and his feature film debut in "Leadbelly." Hudson earned roles in feature films like "The Main Event" with Barbra Streisand, "The Jazz Singer" with Neil Diamond, and television projects like Abby Mann's acclaimed mini-series "King" and the highly-rated "Roots II." In 1983, Hudson was anointed as original Ghostbuster Winston Zeddemore and his star was born. 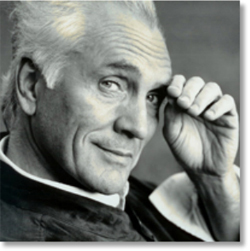 Hudson subsequently starred in films such as "Weeds" with Nick Nolte, "Leviathan," "Sugar Hill," "The Cowboy Way," "Speechless," "The Basketball Diaries" opposite Leonardo DiCaprio, "Congo," and "The Crow" opposite the late Brandon Lee. 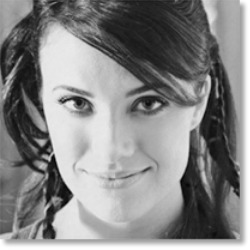 A multiple Dove Award winner as well as a winner of America's most prestigious musical Award - the Grammy — Australian born REBECCA ST. JAMES has throughout the late ‘90's until present been considered to be a major defining female voice in contemporary Christian Music. With the dawning of 2007, her groundbreaking album project Pray has most recently achieved RIAA gold record status — following in the footsteps of the previously gold certified RSJ album God. In January 2007, she was for the 6th consecutive year named "Favorite Female Artist" in Contemporary Christian Music by the more than 27,000 votes cast by readers of CCM Magazine, considered the flagship publication of the Christian genre. Rebecca also repeated with he "Best Female Artist of 2006" award from one of Christian music's highest traffic music sites—Christianitytoday.com—her fourth consecutive year to be given this honor With sales of her music soaring around the globe, her signature blend of modern pop/rock sensibilities and lyrics of unwavering devotion, has blazed straight to the heart of an entire generation. Along the road of more than 200 concert dates a year, her path has led to 17 Top 10 singles - - 9 of which reached the #1 spot on the charts. In April of 2006, she won yet another Dove Award - - Christian music's highest honor—for her participation in the "Special Event Album Of The Year" — for the Chronicles of Narnia: The Lion, The Witch %26 The Wardrobe, for which her dramatically charged song Lion was a centerpiece. CRW Magazine has named Rebecca to the list of the "50 Most Influential People in Contemporary Music." Her book, "Wait For Me," now in a 9th printing reached the #1 spot on the prestigious CBA (Young Adult) book chart in 2003, with Rebecca's passionate, and often controversial, challenge to young people to "stand strong" with her on issues of sexual purity. She closed out 2004 with the much anticipated release of her new book, "SHE,"on Tyndale. An impactful "where the rubber meets the road guidebook," for women of her generation, in "SHE" Rebecca gives a controversial and impassioned voice for a modern womanhood based on a return to biblical principles. The "teen" edition of the book — SHE TEEN—launched in September of '05—quickly reaching #1 on the CBA Young Adult Chart. Her latest album If I Had One Chance To Tell You Something released in November of '05 from EMI. One of the most anticipated albums in recent Christian Music history, it contains Rebecca's trademarked passion for unique self - written music—from rock and pop to symphony—her first full on studio album in five years If I Had One Chance To Tell You Something sonically embraces her passionate lyrics of devotion and praise to God. January of 2006 found Rebecca in Rwanda, Africa for on the ground mission work and the filming of a television special in her role as a global spokes person for Compassion International. She co - hosted the 2006 Dove Awards presented in Nashville in April and in May of last year gave a prestigious special performance for President George W. Bush at the White House in Washington, D.C. With the opening of 2007, Rebecca St. James is in March launching the much anticipated Worship Revolution Tour with fellow international Christian rock band Delirious? 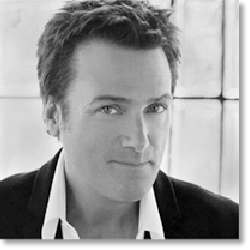 Michael W. Smith was born in Kenova, West Virginia. His dad worked in an oil refinery and his mom was a caterer and church secretary. His two passions growing up were baseball and music. He became a Christian at the age of 10 and after graduation, moved to Nashville. Unable to get a record deal, Smitty turned to drugs and alcohol for a short time before coming clean and renewing his faith in October, 1979. He started performing with a Christian group called "Higher Ground" in 1981, the same year he met his wife Debbie. They met in June and were married in September. 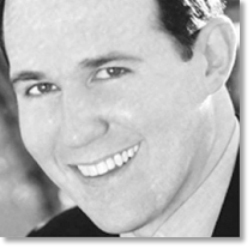 Producer, broadcaster, and author, Raymond Arroyo is an internationally recognized, award-winning journalist, seen each week in more than 100 million homes around the globe. As anchor and creator of EWTN's international news magazine, "The World Over Live", he has conducted probing interviews with everyone from Mel Gibson to Pope Benedict XVI. He has worked for the Associated Press, the political columnist team of Evans and Novak, and as a Capitol Hill Correspondent. His work has been featured on "The Today Show", "Good Morning America", "Hannity and Colmes", "Access Hollywood", "CNN Headline News" and other programs. Carl Amari is an award-winning radio and film producer. His radio credits include "The Twilight Zone™ Radio Dramas," Walter Cronkite's "20th Century," Leonard Maltin's "Video Views," "When Radio Was," and "Radio Movie Classics". He produced the feature films "Madison," "Eden Court," and "Temporary Girl". He also enjoys being in front of the camera as an actor having appeared in the TV series "Prison Break" and "Unsolved Mysteries" and in the feature films "The Package," "Above the Law," "Johnny %26 Clyde," and "Rent-a-Cop." JoBe Cerny, President of Cerny/American Creative, has been an actor, director, writer and producer for the past thirty-eight years. 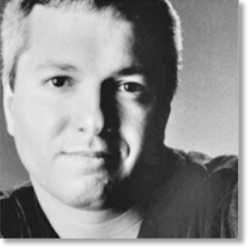 His creative work has won over two hundred national and international awards including: The Golden Lion at Cannes, The Mercury Award, XM's Nation Award, The MarCom Creative Award, numerous Silver Microphones, Clios, Addies, Crystal Awards of Excellence, and Chicago, Los Angeles, and New York Film Festival awards. 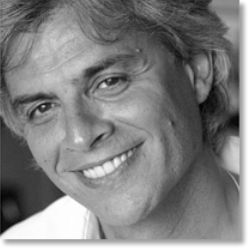 He is a nationally renowned speaker on the subject of Creativity.